This Black Iron Futurity Snaffle Bit is made from the finest materials available. Extraordinary feel, yet are easy to work with and provide maximum luxury for your horse. This product has a copper roller and measures 3'' in rings and 8mm mouth. View the product image above and check out the precise details and craftsmanship put into this remarkably durable Luxury Horse Bit. 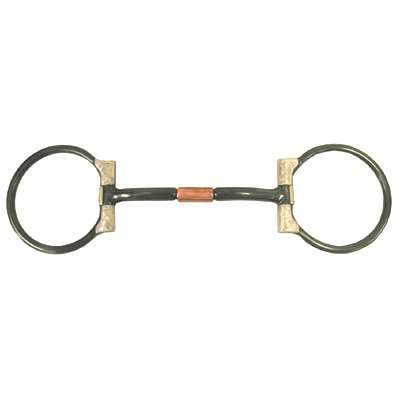 This Futurity Snaffle Bit is also made of top quality materials that are very durable. When purchasing a horse bit at Horse Tack Now rest assured you are getting the highest quality available. Rest Assured you will receive a top quality item delivered straight to your door.